Gas Meter Alterations - What does it Cost to Move a Gas Meter? 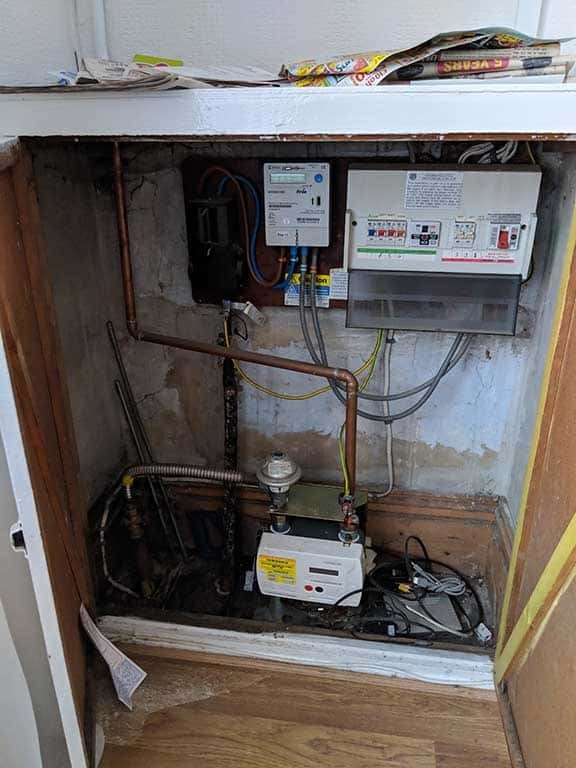 We have moved 3 gas meters in the last 24 months - on different houses, of course - and now feel that we're an authority on the best practices of getting a gas meter alteration. We struggled to find adequate information online, so we wanted to create this guide for our readers on the best ways to understand and navigate through the process from start to end. Who Can Move My Gas Meter? How Much Does it Cost to Move a Gas Meter? Can I move a gas meter for free? Note: Every single gas meter box that we've bought came with a gas box key, but check the contents of the order before buying it or accepting the delivery. They're not hard to replace and can be picked up for a few pennies on eBay. The first question you're probably asking is who do I contact to move my gas meter? Don't be surprised if your gas supplier mentions a company you've never heard of. They'll refer you to your local energy board. If they're unable to tell you, then you can use your MPAN number to find out who this is. As you can see from the map, SGN are responsible for the whole of Scotland and the South East; Northern Gas Networks are responsible for the North East; Cadent are responsible for the West Midlands, North West England, East of England and North London; and Wales and WEst Utilities are responsible for Wales and the South West. Gas Networks Ireland is responsible for Ireland. It is also interesting to see who the actual owners are of each group and you have hedge funds, investment organisations and even other sovereign states that own shares in the energy board in some of these areas. That is for a different discussion elsewhere. Where we live, we need to speak to Cadent Gas. The gas meter and accompanying pipes belong to the energy board. You have no right over it unless you've asked for permission from the energy board. The only time we've had the option to move a gas meter for free was with SSE. They will only move the meter for 90 cm in any direction as long as the move occurs within the room. We were looking to turn the front living room into a useable bedroom (under the request of the local council), so that option didn't work for us. At a house we were working on in the North West of England, we enquired about moving the gas supply pipe to the front of the house. The local council had instructed us that they weren't happy with a gas meter being housed in the current living room, which we had proposed to be used as an additional bedroom. HMO bedrooms have their own key access. If the room occupant locked the door before heading out of the property, then how would anybody else be able to access the gas meter in case of emergency? That was the basic line of reasoning from the local council and we accepted it. Had the gas meter been positioned on the opposite side of the room i.e. next to the hallway, then we would have installed an emergency shut off valve from the hallway. This would have sufficed. Since it was located on the opposite side i.e. adjacent to the party wall, Cadent suggested that we'd have to bear the cost of digging and physically moving the meter to the hallway. The quote for this? ... £2,000! We were wracking our brains, and then one of the team members at Alarms4Life suggested that we consider moving gas meter outside. Genius! All we'd have to do is notify the local building control of our intentions, pay a nominal fee for the building notice and get on with the work. This proposal brought down the cost of the move to £700 as long as our gas engineer connected back the gas (to the boiler). We went ahead and sourced the most economical box for our purposes and the best place was Selco. We actually found some cheaper options online, but we needed to order the box as soon as possible - in case Cadent gave us an early date to get the gas pipe altered. The one pictured above was actually a little damaged. The gas box door was loose, so we just swapped it at Selco without any issues. You have a few different options to source one of these. You can buy brand new or buy a used one, it doesn't matter. They're available from your local DIY, plumbling supplies or hardware store.